Another useful thing you might consider doing with your Dolphin 7 site if you are a Twitter or Facebook user is use a service like Twitterfeed to automatically post your recent blogs or articles from your Dolphin 7 site to your Twitter of Facebook account/page. 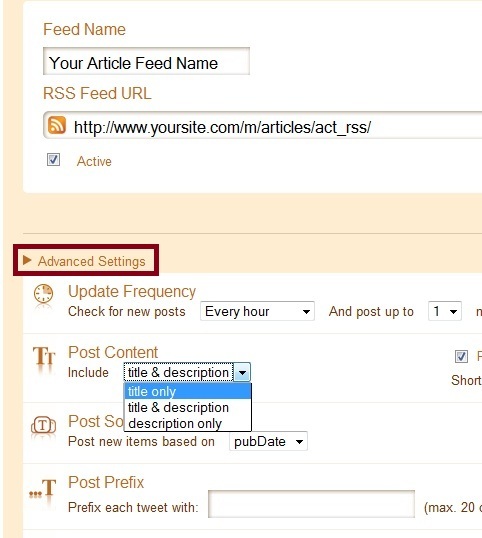 You can use your Dolphin 7 site's rss feed capabilities for this very easily. What happens is if you were to post a new article for example you can have Twitterfeed post it to your Twitter or Facebook page for you. 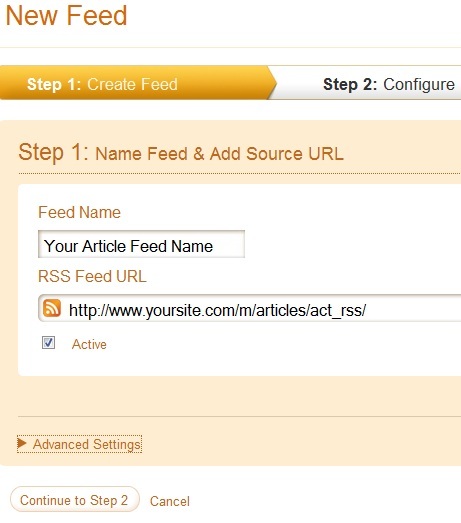 All you have to do is simply add your article rss feed or any other rss feed from your Dolphin 7 site to Twitterfeed. It will check every hour to see if you have a new article. If you do, it will post it to Facebook or Twitter for you. This saving you time and possibly generating additional traffic for you. It's pretty simple to set up and works well. You can have it post just the title, the description, or both. There are a few advanced options available in Twitterfeed you might tweak slightly. It's up to you. If you don't have a Twitterfeed you can register for free. Once you have an account setup you just add any rss feed from your Dolphin 7 site you wish to automatically post to Twitter or Facebook. .....you can use Twitterfeed to post to those sites too. It's a handy little tool or resource to save you time, promote your site and content, and generate additional traffic. Follow along with the prompts and you will be good to go in a few moments. Very simple to set up and configure. Add any other rss feeds from your Dolphin 7 site you are interested in promoting or publishing. Some of the Dolphin 7 RSS feeds / links are not working properly in version 7.0.0. They have been updated and fixed in Boonex Trac where you can find the fixes for the ones that do not work if you want them right now. Once Dolphin 7.0.1 upgrade / patch is released the rest of the RSS Feeds should work as they were intended.